"Now is no time to claim we can't get real Internet...."
Chris Mitchell at MuniNetworks has a great point, and one I've argued for a long time: If most houses in America already have two cables (electric and phone), how is it that it is just too darn hard to run a third tiny cable, much smaller than an electric cable, to most homes? And from the business side, if the phone company and the electric company can make money from providing one service on their respective cables, how is it that the incumbents claim they can't make money from a cable that can deliver several services to a home or business? Something is not quite right with that argument--and we know, as we do financial and business plans for multi-service networks all the time...there is plenty of money for broadband. It's just a matter of knowing how to put the business plan together....and picking the right business plan. 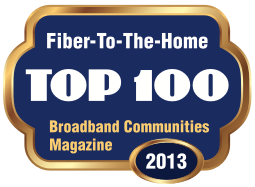 Broadband Communities Summit ’13 covers the top broadband issues – with outstanding content and top-notch speakers. There is a new track on Revenue Opportunities that includes a session on Telemedicine, and one on Revenue Opportunities for Networks that will demonstrate how generate the cash flow needed to make networks financially successful. Design Nine will be there as an exhibitor--stop by and say hello, and I am speaking in a couple of sessions. Last year's conference was terrific--the Broadband Communities folks really work hard to deliver solid content at every session; this is not just a lot of corporate sales presentations. Hotel rooms are still available at the conference price until Friday--don't wait. Can we wait 20 years? Here is a great article from an analyst in Australia. He correctly identifies that high speed broadband needs to be both available and affordable. Exactly. The incumbents are fond of playing a game of "Look,there's a squirrel!" with legislators by telling them that they (the incumbents) can provide high speed broadband anywhere. But what they always leave out is that the cost of those connections is usually prohibitive, and only large corporate and institutional customers can afford the cost of such fiber circuits. The FCC has just released a new challenge to create Gigabit Cities throughout the nation. One might wonder why do we really need Gigabit fiber connections at our homes and businesses. Here's a very specific example. On Sunday morning, I started to back up a measly 7 Gig of photos from my phone to my Dropbox account in the cloud. Forty-eight hours later, the upload is still going, and it's barely half finished. When the average home upload speed is often 1 megabit/second or even much less, it becomes a monumental task to back up our music, pictures, videos, and files to a remote back up service. The China Ministry of Industry and Information Technology has said that all new residences will be connected to fiber if an existing network is available, starting this spring, and the fiber will be operated on an open access basis, with residents able to choose from several providers. From the always excellent MuniNetworks, the story of how a tiny community out in the middle of nowhere attracted a $600 million data center. If you have never been to The Dalles, it really is an extremely isolated place. It's a beautiful town on the edge of the Columbia River. Fed up with lousy broadband, the community built its own fiber ring, and coupled with reliable electric power, that brought Google and its $600 million data center to the community. We get asked constantly, "Isn't fiber risky? What if wireless is better?" Fiber is a highly stable, very reliable forty year hard asset that you can take to the bank, because unlike nearly every other kind of community infrastructure (roads, water, sewer), you can increase fiber capacity without digging new ditches or having to hang more fiber on poles. You just change out the equipment at each end, which is a fraction of the cost of building new fiber. Fiber is future proofing your community and your economic development future. Wireless, by comparison, once the capacity of the existing radios is reached (which happens every three to four years), you have to replace pretty much everything. Do a fair thirty year life cycle comparison of fiber and wireless, and fiber is cheaper. Infinera just announced that they have been able to push eight terabits of data across 800 kilometers of fiber, and they expect to be able to do that across 2,500 kilometers of fiber in the near future. Fiber is a good investment. LinkedIn has announced free voice calling for its members. The business directory service has been adding new features recently, layering Facebook and Twitter style features on top of its basic resume and business contact services. In partnership with Plingm, a Swedish mobile VoIP provider (think Skype), any LinkedIn member will be able to initiate a voice call with any other LinkedIn member anywhere in the world. To take advantage of the service, you have to download the Plingm app for your smartphone. This may or may not turn out to be especially useful, as mobile operators continue to try to discourage using the cellular data network to originate voice calls. If this became popular, who needs a phone number and the $25 to $40 per month cellular voice service? Instead, everyone would just want to drop the hugely profitable voice service and just pay for the cellular data service, which is causing the cellular providers nothing but headaches as they try to keep their networks upgraded to meet the ever-expanding demand. Traditional phone service is dead, and the telephone companies are firmly determined to keep applying CPR to the rapidly decaying corpse as long as possible. After Hurricane Sandy, cell phone networks in the affected areas were, by and large, not working. Like the situation after Hurricane Katrina, many cell tower sites had no long term back up power source (i.e. a generator), fuel to keep generators running was not available, or generators were flooded out because they were installed on the ground. In the New Orleans area, it was not the storm that took out networks, it was the flooding. As flood waters rose, the high water drowned the generators, power failed, and the networks went down. This is not rocket science. Fiber and wireless networks can be engineered to be as reliable in a natural disaster as the old telephone network, but it requires spending money in the right places at the right time (i.e. before the disaster). If you are interested in seeing firsthand what happens when a city invests in open fiber, there is still time to register for the Broadband Communities Community Fiber Networks conference in Danville, Virginia in early November. Danville's open access fiber network has been a key part of an enormously successful downtown revitalization effort that has brought hundreds of new jobs to the community and international firms have been re-locating to Danville in part because of the high performance, low cost open access fiber network. Susan Crawford, writing as a Fellow of the Roosevelt Institute, argues eloquently for paying more attention to broadband capacity and affordability, especially in rural areas of the U.S. She argues that well-provisioned, modern broadband connectivity is essential to economic growth. Chattanooga is providing financial assistance to people with technical backgrounds who agree to buy a house and move to the area. It's a brilliant idea, and coupled with their fiber network, Chattanooga continues to prove they are not just serving up the same old warmed over, forty year old economic development strategies. Via Slashdot, here is a link to a new book that talks about why Internet and broadband in the U.S. is so poor. It's worth a read....basically, all the money has been spent on mobile cellular networks and not on local fiber infrastructure. And adding to the problem, in most markets, there is cartel pricing via the telco/cableco duopoly. Residents and businesses have only two choices: marginal DSL or cable modem service that won't support now-common business services and applications. Via Eldo Telecom, there is a Calix U.S. Rural Broadband Report with depressing news about broadband cost and availability in rural America (about 70% of the U.S.). Rural residents don't even have the laughingly pathetic 4 meg down/1 meg up of the national broadband target. Most rural broadband is running between 1 and 3 megabits. But Design Nine is changing that, one community at a time, with projects like RANA and FastRoads. Call me (540-951-4400) if you want help. PETALUMA, CA – July 23, 2012 – Calix, Inc. (NYSE: CALX) today announced that New Hampshire FastRoads (NH FastRoads) has selected the Calix E7-2 Ethernet Service Access Platform (ESAP) and 700GE family of optical network terminals (ONTs) to provide point-to-point gigabit Ethernet services to underserved subscribers in 35 communities throughout the western part of the state. NH FastRoads has partnered with Network New Hampshire Now (NNHN), a 470-mile Broadband Technology Opportunities Program (BTOP) awarded fiber network project funded by a $44.5 million BTOP Broadband Stimulus grant and $21.5 million in private and in-kind support, to leverage existing infrastructure to bring advanced broadband services throughout the Upper Valley and Monadnock regions, including fiber-to-the-premises (FTTP) projects in Rindge and Enfield. The combined efforts of NH FastRoads and NNHN in this new project will bring one of the nation’s premiere networks to rural western New Hampshire and keep this part of the state a vibrant location for innovative businesses, citizens, and educational institutions. NH FastRoads is a Limited Liability Company (LLC) of the Monadnock Economic Development Corporation. The organization was established to bring accessible and affordable broadband to the towns of the Monadnock and Upper Valley regions of New Hampshire. NH FastRoads’ mission is to ensure that homes, businesses, and institutions of the region have the best broadband infrastructure to support jobs and sustainable economic development. The organization’s work will enable delivery of a variety of broadband services beyond high-speed data, including voice telephony, Internet Protocol television (IPTV), movies on demand, business-class videoconferencing, health care services such as in- home monitoring, home and business security, computer backup, public access television, Internet radio, and many other advanced services. Design Nine has provided the network design and project management for the effort. Design Nine's President, Andrew Cohill said, "We evaluated equipment from many vendors, and in the end, Calix had the most capable equipment and the most attractive technical support package. We're glad to have Calix powering FastRoads’ Gigabit-to-the-Home network." British Telecom climbed aboard the clue train and has rolled out open access (they call it OpenReach) on their fiber network, inviting service providers to sell to BT-connected homes and businesses. While the cellular wireless networks are groaning under the massive growth in bandwidth use by their mobile customers, fiber capacity just keeps growing and growing. The optical transmission manufacturer Huawei has announced that they have been able to transmit 2 Terabits (2 Tbps) on a single WDM (Wave Division Multiplexing) channel. A single fiber can have many individual channels. A terabit is one thousand gigabits, so Huawei is shoving two thousand gigabits down a single wavelength of light, and they are saying they can boost the capacity of a single fiber to 56 terabits. It's like I've been saying for a long time...fiber future-proofs your community. If you still think wireless is a viable alternative to fiber, ask yourself why cellular rates keep increasing while the cost per megabit for fiber keeps decreasing. It's all about physics, supply and demand, and fiber has plenty of supply because the PHYSICS ARE DIFFERENT. Here is an excellent article from MuniNetworks that provides an excellent overview of the problems with broadband speed tests. It is easy for service providers to spoof speed tests into reporting higher upload and download speeds than anyone actually gets on a daily basis. Speed tests are a bit of a problem for community-owned networks, as they generally don't show the dramatic performance improvements of the local network, because the speed test servers are located somewhere else on the Internet. So it is hard to show just how much better the local network is compared to an incumbent network. The solution is for the community network to install a speed test server on the local network , where the full bandwidth can be shown without the latency of the public Internet. As part of Verizon's restructuring of its cellular service to allow for shared data plans, the company is going to offer free texting, but overall, your monthly cellular bill could be higher. Verizon is getting rid of unlimited data plans and replacing them with "pay by the drink" plans that will meter bandwidth use. As little as a couple of hours of video streaming (think one Netflix movie) would push bandwidth right through the 6 gigabyte monthly package, leading to sharply higher charges for that month. It's really a question of physics. It is much cheaper to deliver bandwidth over fiber, and always will be. As I have been saying for a long long time, wireless is important for mobile access, but we all need fiber at home and at work. Nothing is going to change that. In what will surely cause an uptick in the sale of smartphones, Verizon has rolled out a shared data plan. This will be popular with families with teenagers who have been clamoring for a smartphone, as the parents (known to the kids as "the wallet") may be willing to pay the $10/phone base fee rather than the old $25 or $30 per phone data charge. AT&T is expected to roll out a similar plan.